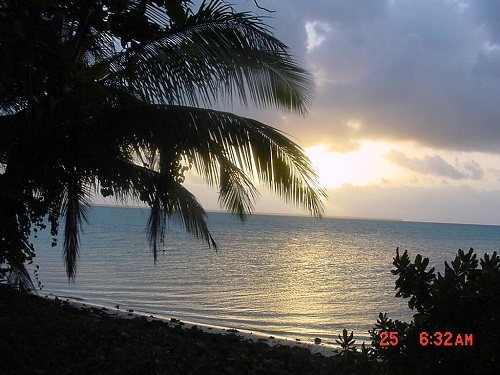 There is no other accommodation on the Cocos Islands to compare with Oceania House! The property is heritage listed and classed within the A1 Register of the National Estate. The current owners continue with the restorative work on the house, but make sure nothing is being done to inconvenience our guests. 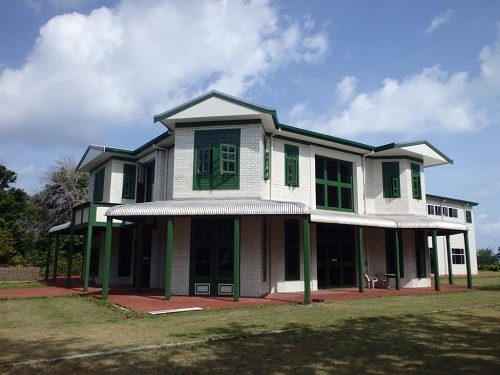 The house is a magnificent 2 storey mansion, built of glazed, white bricks imported from Scotland during the 1880s. The house is located on the most prominent tip of Home Island and positioned to catch all the prevailing sea breezes and make the most of the expansive lagoon views. Fancy a dip in the lagoon? Just walk straight out of the front door and you are ready for a swim in the warm, tropical waters. Oceania House has an extensive library. Choose your book and relax under the shade of the magnificent old trees on the lagoon foreshore. Want to enjoy the luxury of a by-gone era, then this is the place. 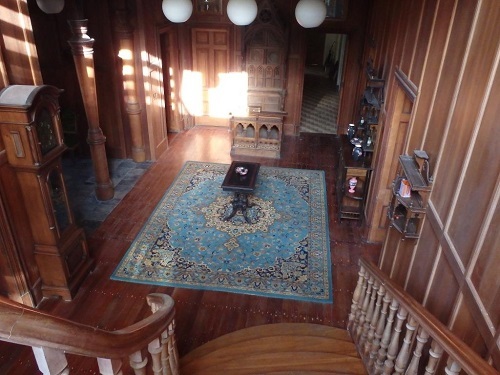 You will be enchanted with the genuine antiques and collections of Victoriana that decorate the house. Peaceful and tranquil, the place to relax and unwind. 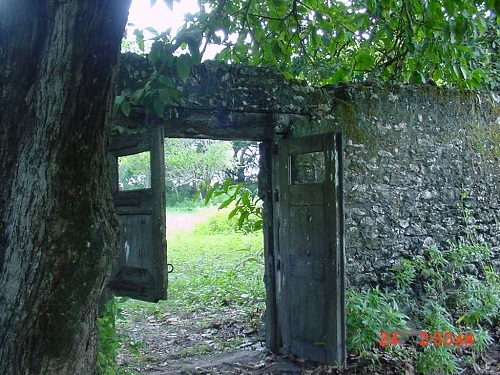 'The Stately Home' of the Cocos Islands. This heritage listed home is set in 12 acres of Botanical Gardens on Home Island and overlooks the beautiful lagoon. 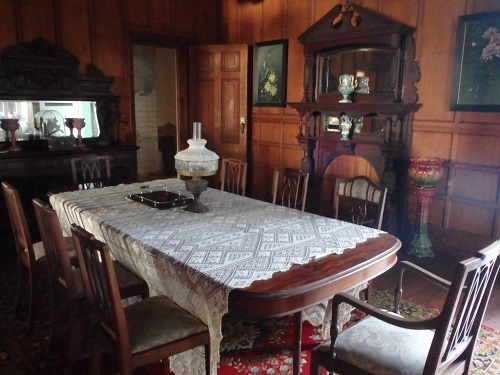 It is a two-storey heritage listed house and decorated with genuine antique furnishings. All bedrooms are located on the upper storey, therefore, may be unsuitable for persons who have walking/climbing problems. Mature visitors interested in the local history. Mature visitors interested in the natural environment. Business people wanting a quiet getaway. People visiting Cocos for Business purposes. Honeymoon Couples looking for 'something special'. Birdies who want direct access to the beautiful botanic gardens. Although the house is not ideally suited to 'family groups, families with older children can stay in our special family suite. Known as the King Edward Room, it is the largest bedroom in the house and holds 2 large double beds with lots of extra space and a large, family sized bathroom. Oceania House is located on the south-western tip of Home Island. From the HI jetty, take the front lagoon road, and continue until you reach the beautiful avenue of trees that marks the entrance of Oceania House. Guests will be met at the airport and assisted to Oceania House. Due to the isolation of the Cocos Islands weather issues or flight changes it is HIGHLY recommended that clients take out Travel Insurance to cover unexpected emergencies. Strategically placed to catch all the breezes and views, this almost imposing, octagonal room features a large bay window and is decorated and furnished with Victorian antiques. John Sidney was a well-travelled man of the world and this room reflects his style. Private bathroom down the hall or share bathroom No meals are included in the price of the rooms. Oceania House is a self-catering facility and guests have the use of a kitchen with microwave, toaster, kettle, crockery, cutlery Traditional Cocos Malay restaurant open for dinner on Wednesday evening or will deliver Cafe open during the morning sells a selection of Western and Malay food. Dine-in or take away available. Good supermarket close by. 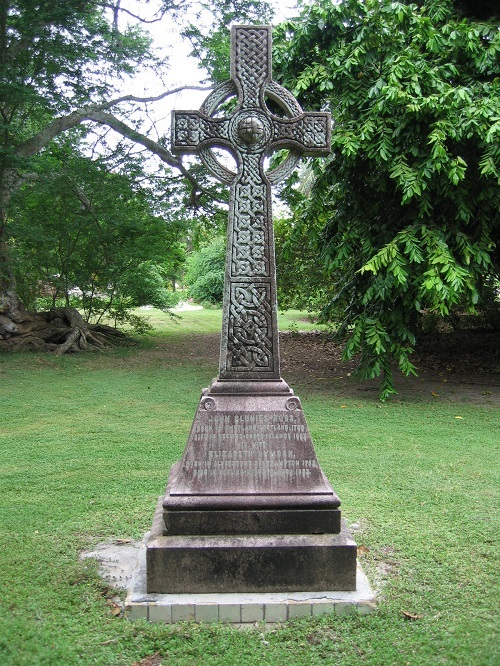 George Clunies-Ross was the designer and builder of Oceania House. George was a visionary and with the adaption of his new ideas into the islands, he made great advances forward for all the community. George was very highly respected by everyone. The George Room is an elegant, spacious room facing the lagoon and furnished and decorated with genuine Edwardian antiques. It features extensive views across the lagoon and down along the entrance avenue. Private bathroom is across the hall. Self catering - mini bar available with some essentials Use of kitchen with microwave, toaster, kettle, crockery, cutlery Traditional Cocos Malay food can be ordered from the locals and delivered Good supermarket close by. Very large room 2 Queen Beds Large Bathroom - Shower Only No meals included in room prices - Guest kitchen provided for self-catering This room is reserved for family bookings. Rates quoted are for up to 4 people. A romantic double room named after Rose Nash, the grandmother of Johhny Clunies-Ross (still living on the Cocos Islands). The Rose Room lives up to its name being decorated in the whimsical Art Nouveau Style. A genuine brass bed, winged mirror dressing table and complemented by rose decorated mirrors and genuine Marigold prints from the 1920s, make this a delightful room. Large ensuite bathroom Self catering - mini bar available with some essentials Use of kitchen with microwave, toaster, kettle, crockery, cutlery Traditional Cocos Malay restaurant open for dinner or will deliver Cafe open during the morning sells a selection of Western and Malay food. Dine-in or take away available. Good supermarket close by.